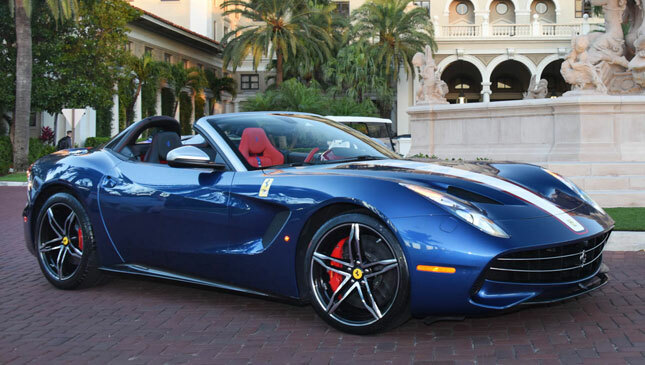 We can hardly imagine the thrill of the lucky gentleman who got first dibs on one of the most sought-after cars in the Ferrari stable at the moment, the F60 America. 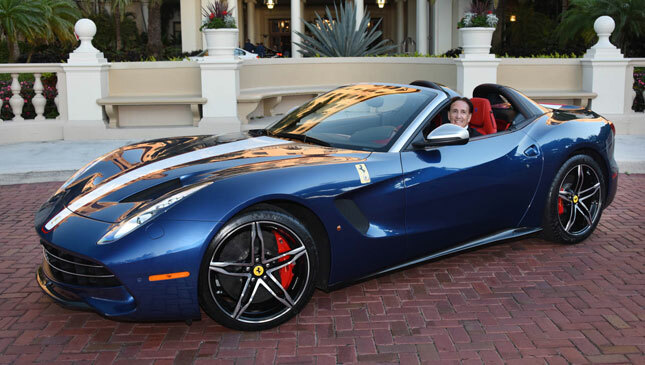 The very first example was presented to its proud owner at the prestigious Palm Beach Cavallino Classic in Florida. 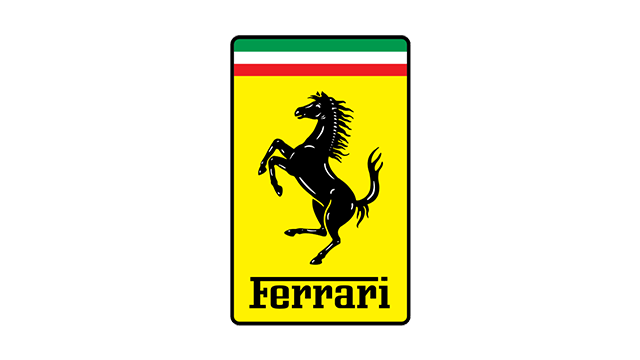 The auspicious affair gathered the elite crowd of Ferrari owners and collectors who were on hand to witness the ceremonial turnover. 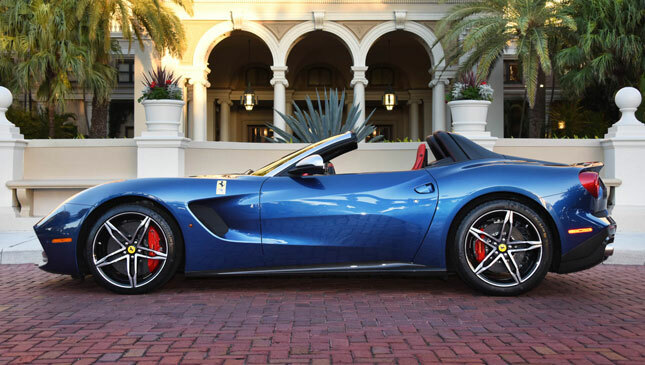 As the name implies, the F60 America commemorates the Prancing Horse’s 60th anniversary in the US. This ultra-rare edition is based on the F12 Berlinetta, and it takes its visual cues from the 1967 Ferrari 275 GTS-4 North American Racing Team (NART). The F60 is made even more special by styling cues like a fabric roof that can open and close up to speeds of 120kph. More important, the car is covered in the famous NART livery and commemorative badging on the fenders and the wheels. There is even a pair of leather-wrapped rollbars for that exotic touch. It’s a mix of Italian and American at its finest. Powering the F60 America is a 6.3-liter V12 powerplant that produces 730hp and 690Nm, coursed through a seven-speed dual-clutch gearbox. This allows the car to sprint from zero to 100kph in a mere 3.1 seconds. So yes, the car definitely has the goods to back up its lofty status. Apart from celebrating the Italian supercar maker’s 60-year heritage in the land of the free and the home of the brave, Ferrari is only letting loose just 10 copies of the shapely beast in the entire US market. Surprise, surprise--all 10 units have been sold out. So we can understand what all the pomp and pageantry are all about. 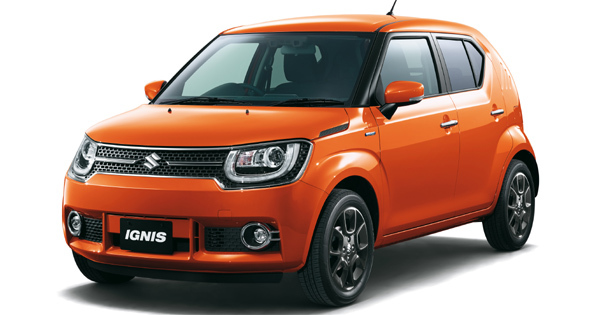 With this kind of a car, wouldn’t you want to be seen being handed the key? We sure would.